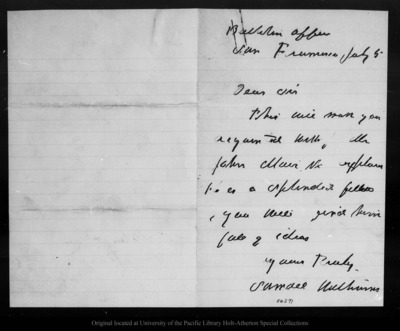 Letter from Samuel Hutchins to [?] Bishop, [ca. 1876] Jul 5.